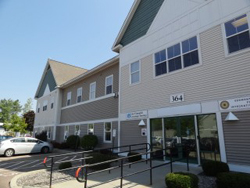 366 Dorset Street 1st floor suite features a high quality medical fit-up with numerous offices, exam rooms, nurses stations, and a nice reception / waiting / check-out area. This attractive Dorset Street suite is in a highly visible location in an established medical community on the CCTA bus line. Fully handicap accessible with a covered sidewalk entry and ample parking. Available now. Lease price and fit-up are negotiable. 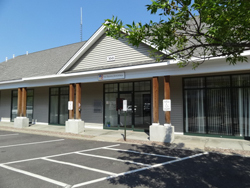 75 San Remo Drive, 4,494 SF 2nd floor office suite is located within an established healthcare community. This suite features a tasteful waiting room, large reception/transaction counter, 10 individual offices, large yoga/workout area, 2 bathrooms, kitchen and a private employee entry. The building is fully handicap accessible with elevator and ample parking. This is an ideal location with easy access to the CCTA bus line. Available now. Lease price and fit-up is negotiable. Any inquiries about the properties listed on the left can be made on our Contact Form.